Nearly 100 fossil species pulled from a flooded cave in the Bahamas reveal a true story of persistence against all odds—at least until the time humans stepped foot on the islands. "What we see today is just a small snapshot of how species have existed for millions of years," Steadman said. "The species that existed on Abaco up until people arrived were survivors. They withstood a variety of environmental changes, but some could not adapt quickly or drastically enough to what happened when people showed up. "So, there must be different mechanisms driving these two types of extinctions. What is it about people that so many island species could not adapt to? That's what we want to find out." For species that were lost at the end of the Ice Age, climate change, habitat change and rising seas, with resulting smaller islands, may have caused their populations to become too small to remain genetically viable, resulting in inbreeding, Steadman said. 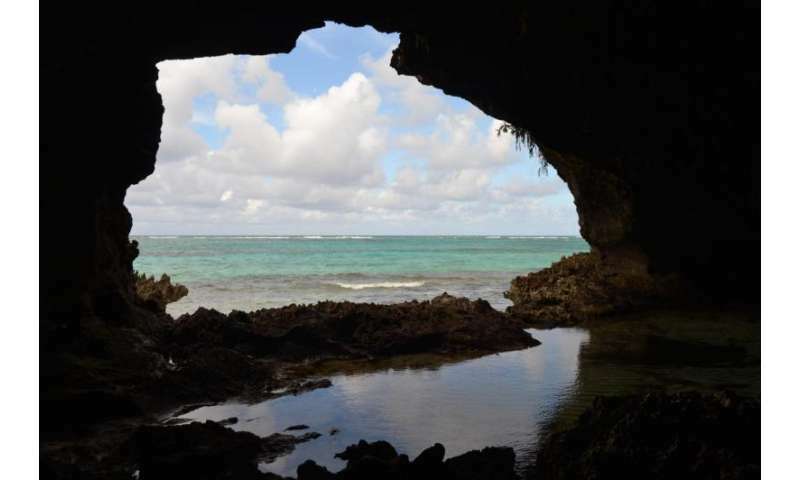 A January 2015 study co-authored by Steadman found the Caribbean's first humans depleted species as small as bats on Abaco. The new study shows several other species that endured until human arrival were lost to activities such as hunting and starting wildfires, he said. Hayley Singleton, UF master's student and study co-author, said the new research shows how quickly humans can drastically alter habitats. Unlike during the Ice Age, modern climate change and other human-driven changes often go hand in hand, she said. "When humans change habitats at a rate that local species cannot keep up with, that can very quickly result in the losses," Singleton said. "Likewise, even small climate changes can affect migration and significantly impact habitats. So, you can have the perfect storm where climate and human-driven changes are occurring at the same time, like we're seeing in places around the world today." Future research will explore whether there are fundamental genetic differences between the Bahamian species that persisted and those that were lost when humans arrived. In other words, scientists want to know if there's a genetic basis for adaptability, Steadman said. "The answer could help us predict what animals will be affected most by a changing climate and humans," he said. It's wicked being the top predator. In any case climate change is over blown hype and fraud. To paraphrase Freeman Dyson, "The climate models are worse now than they were ten years ago, and they were rubbish then." It really is wicked, what you do on a daily basis. Daily? He jerks off on here on a minute by minute basis. Actually, it's a good illustration of the point behind the article. Humans are vermin. Read that in a comment and thought it was spot on. I'm starting to think that the school of thought that says that AGW is just one way humans are destroying the ecosystem is a better way of looking at it. In fact the emphasis on AGW is a symptom of the problem. That factor is a big deal for us, so we care about it. Others that impact ecosystems far more than us- for the moment- are still under the RADAR. If AGW could be wiped away in a stroke, the ecosystems would still be under mortal threat. It's just that a few have finally gotten it through their heads in the case of AGW and that gives them a way to get traction on the issue. It's an illusion, though. It just the tip of the crappy iceberg that is the human presence. Hence, his handle, "shootist". I guess "spoiler of towels" wouldn't fit. Humans a greater threat to other life than Climate? Well, we have it working with us, now. Soon, even we will be gone. To paraphrase Freeman Dyson, "The climate models are worse now than they were ten years ago, and they were rubbish then."" I do not care about models. How about Folsom Lake? Pathological Liars and hypocrites, like you, can't be gone soon enough. If you weren't, you would have done yourself and the world a favour and off yourself a long time ago.